Have you always wanted to move to New Zealand? The land of Lord of the Rings, sheep, mountains, lakes, milk and honey. New Zealand has friendly people, excellent education, and universal healthcare. It’s also a land of immigrants: people from all over the world migrate to make their home in New Zealand. Perhaps you are dreaming of making this delightful little country at the end of the South Pacific ocean your new home, too. But the process can be daunting. Have you looked at all the visa options, gotten overwhelmed and wondered if you should give up your dream? Don’t. 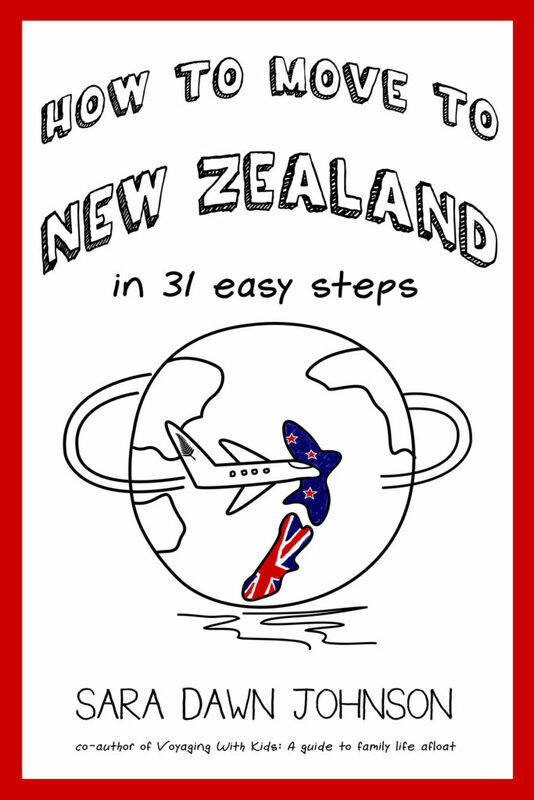 There’s a simple path to residing in New Zealand and this book will show you the way. The author, her husband, and their two daughters moved to New Zealand in 2012 by sailing their home—a 38-foot sailboat—across the Pacific ocean. They carried their dream of New Zealand residence aboard their small ship. Once they arrived, they successfully navigated the work and residence visa process and are now permanent residents of New Zealand. She tells you exactly how they did it. If you’re thinking about moving to New Zealand, read this book first. And then go. Print book available at amazon.com and other online bookstores.